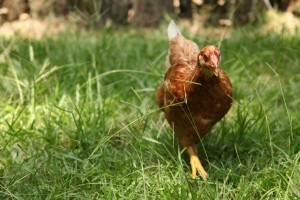 Many that have a backyard flock enjoy fresh eggs from spring into the early fall. However, there are times when the days get shorter and temperatures get cooler we see a reduction in egg production. There are a few things to consider going into this fall and winter that might change how comfortable the flock is. Even though it is very early to pull out our coats and gloves and get ready for winter, now is a great time to start preparing our chickens for winter. The coop should be the first thing that comes to mind when preparing for cooler temperatures. Are the walls and ceilings insulated? Is there a way to better insulate the walls or ceiling? If you do plan to insulate the coop be sure to cover the insulation with wood or like material to keep birds from pecking around and rodents from building a nest. Check for drafts in the coop while you at it. You can do this by placing a light source in the middle of the coop and walking around the perimeter of the coop looking for light to shine through. When you find places that you see light you should mark that location and place 4-6 mil plastic on the outside of the coop. Even though all of this helps with maintaining the current temperature additional might be needed. Supplemental heating could help with egg production and protect against chances of frostbite. Frostbite can occur on the combs, waddles, and toes. The waddles are at a higher risk if they get wet while dipping them in the drinking water. 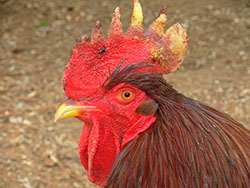 Discoloration of the combs from yellow to black color indicate frostbite and can be very painful for the chicken. As a preventative measure, you should choose breeds with smaller combs, use small amounts of Vaseline or other protectants, and make perches wider so the toes are not wrapped and are more flat. When choosing a heating source most prefer infrared heaters because they heat the bird not the air. Make sure that the perch is a comfortable temperature because that is where the birds will spend most of the time in the coldest temperatures. Be sure not to place anything in the coop that could be a fire hazard. The litter is very important in the winter time when the bird could be “cooped” up for long periods of time due to inclement weather. You should have shavings or bedding material 4 to 6 inches deep that are clean and dry. If you have a water spill or have an issue with water running into the coop from rainfall it should be corrected as soon as possible as this could lead to frostbite. While you are looking at things on the ground be sure that you will be able to provide thawed water to the flock. Remember to control the litter for ammonia even if the weather is not conducive for work. 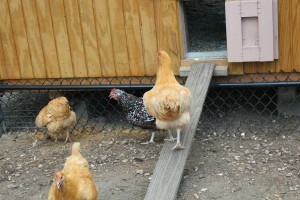 If your eyes start watering when you walk in the coop think about what your chickens feel like a few feet below you. There are products (i.e. Chick Flic) that can be applied to the litter that will mask some of the effects of the ammonia. Acceptable levels are 20 to 25 ppm but when they increase you are putting your flock at risk for health problems. A vent placed in the coop to allow air transfer will not only help control the ammonia levels but also help reduce the humidity that can lead to frostbite issues. Do you see sick or stressed birds? 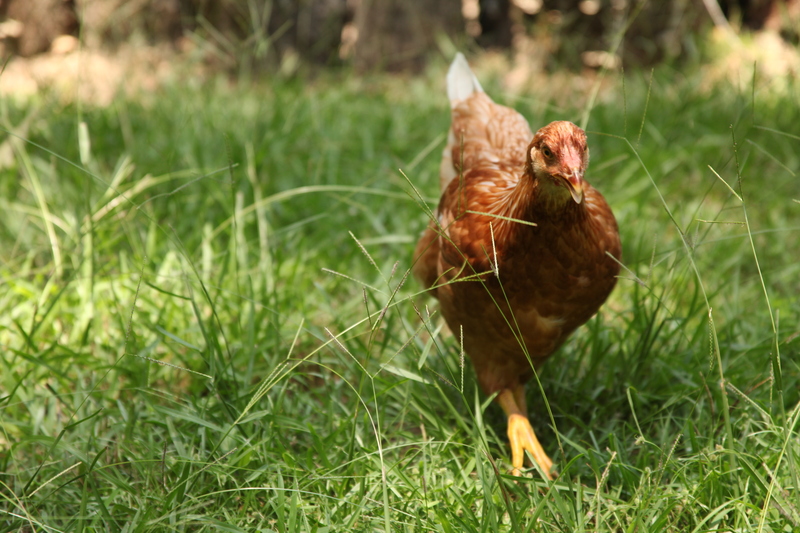 If you take a little time in preparing your flock for the cooler temperatures you will be quite impressed with the productivity of your chickens. 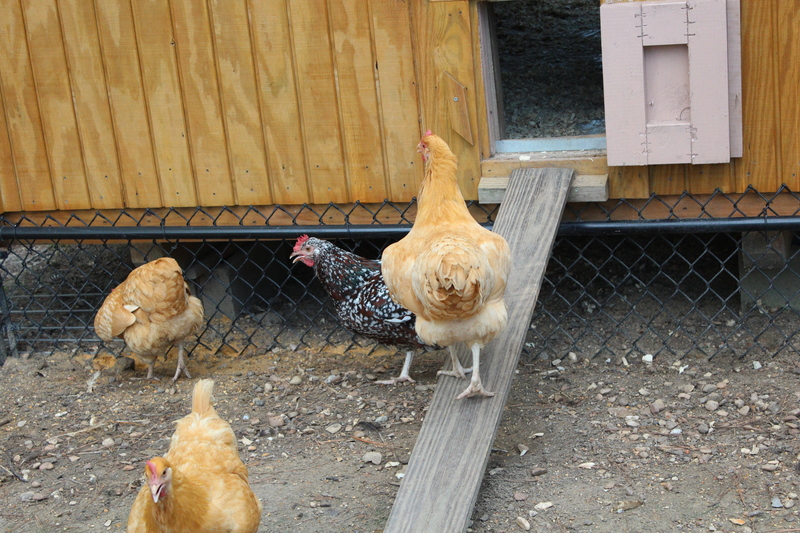 The more effort you put towards making your coop comfortable the more you will enjoy fresh eggs during the holidays. Copyright © 2017 Mississippi State University Extension. All rights reserved. MSU Extension Blogs are maintained by the Extension Center for Technology Outreach. Last updated September 25th, 2016. Technical problems, contact support.